For Paella pans up to 30 - 65 cm. The L-40 G.N. 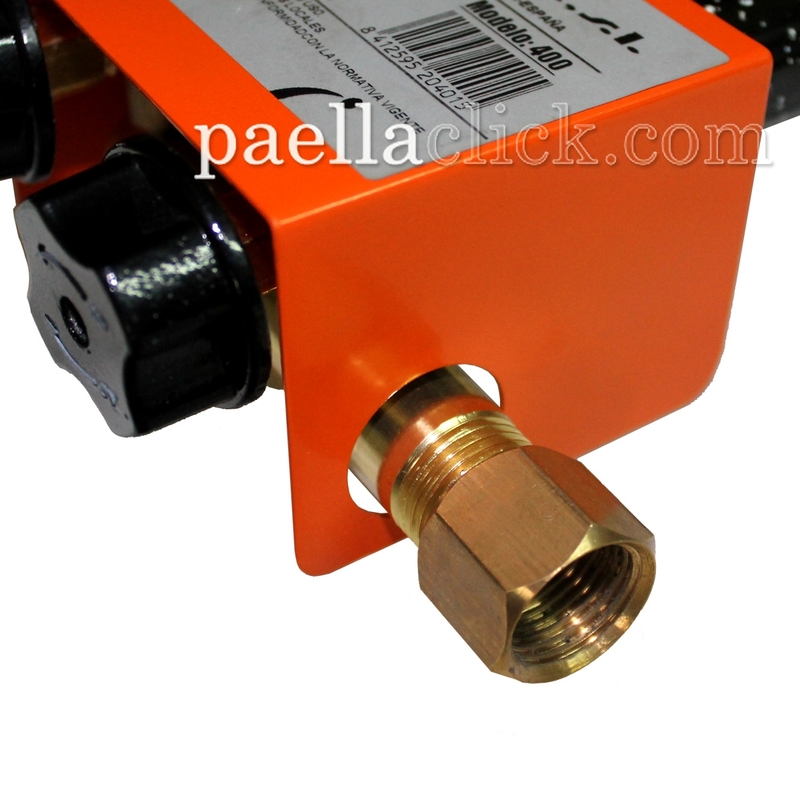 gas burner, from the prestigious Garcima brand is ready to be used in Natural Gas installations. 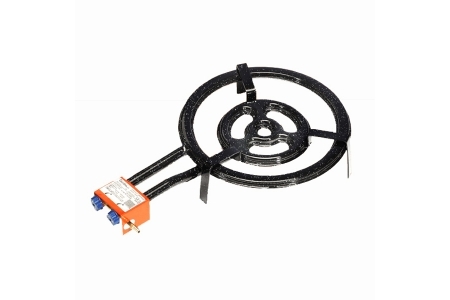 It has an screwed connection with which you can easily connect a gas hose. 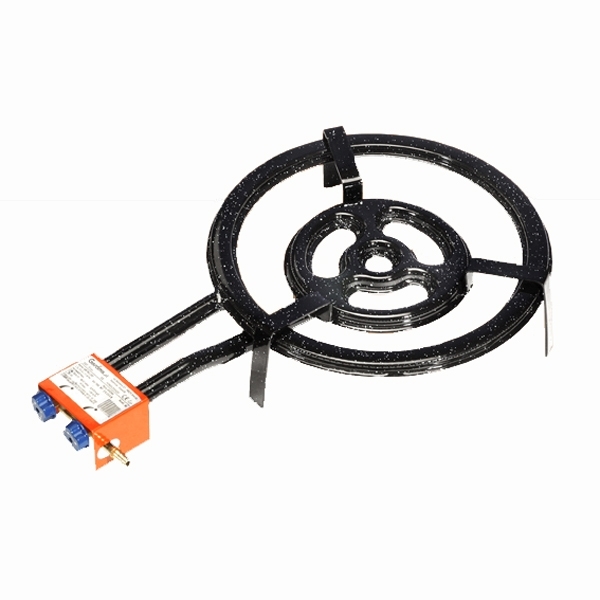 This gas burner has three fire rings,and two controls, with "beginning" and "end" settings, and perfect control over the flame. Also, as their fire exits are leaning to one side, you can avoid possible obstructions caused by spillings, prolonging the useful life of the product.